Now open for beta-tasting. Sign up for the wait list. 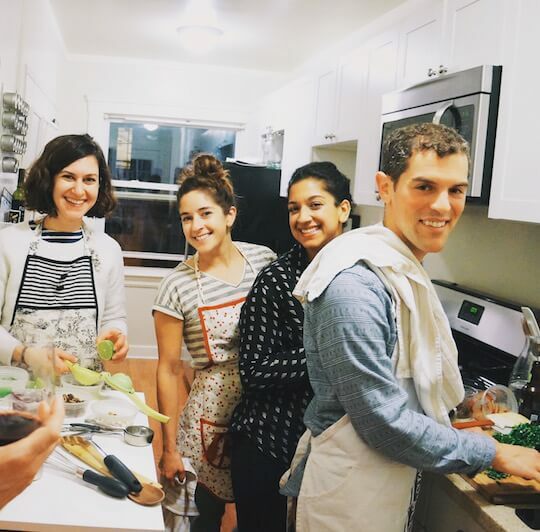 With KitchenJam, you can invite your friends over for a fun, communal meal without the stress and logistics of hosting and cooking by yourself. 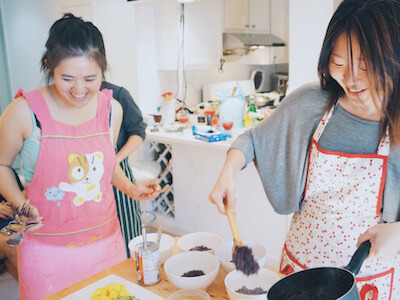 From recommending a menu to scheduling grocery delivery to delegating tasks to your guests, KitchenJam takes care of the logistics so you can focus on having fun. 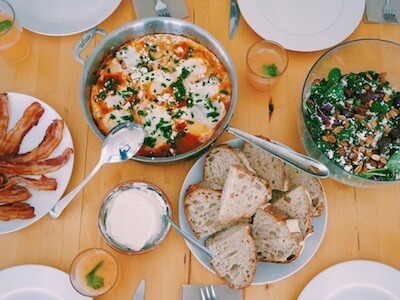 No more slaving away in the kitchen by yourself - everyone's got a role and is involved in putting together the meal. No long lines, no reservations, no corkage, no surge pricing - let's be honest, a night in with your friends is pretty much better than going out in every single way. 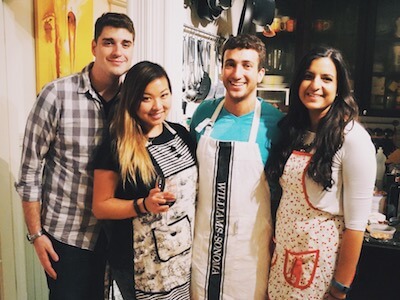 KitchenJam is an ambitiously entertaining, unique and memorable dinner night with our friends, but it made the whole experience much much easier. 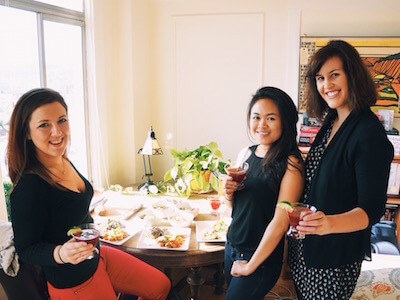 It took all of the management burden out of preparing a multi-course meal together, letting everyone just relax and know that the app would make sure everything got done. It was truly one of the best Friday night social experiences I've had all year. Not only was the food (and the company!) amazing, it is the first time I felt like I can actually cook! I love to host, but usually I'm stuck alone in the kitchen. This is the first dinner party where I was making dinner, but not really making dinner. Time went by super fast and there was no stress what so ever. Browse the selection of unique (and delicious) 4-5 course gourmet meals - all designed to have no pre-work and be on the table within 1.5 hours. This is truly a team effort. Each person will get their own instructions based on their cooking comfort. Everyone's in the kitchen working together, contributing different pieces. The whole experience is like solving a cooking puzzle: each person has different pieces and, at the end, all the pieces magically fit together into a beautiful, gourmet meal.